Using popular over-the-counter medications to treat heartburn, such as Nexium (esomeprazole) and Prilosec (omeprazole), may also lead to weaker bones. Researchers in Iran followed 80 patients over 2 years, half of whom used a proton pump inhibitor (PPI) daily. Those on a PPI were more likely to have osteoporosis in their femur (thigh bone) as well as a condition known as osteopenia, which is decreased bone density, they reported in the International Journal of Rheumatic Diseases. The findings are not entirely surprising given that in 2010, the FDA issued a warning that PPIs might be linked to a higher risk of bone fractures. However, the agency stopped there and didn’t recommend adding a warning on labeling. Many of the side effects associated with PPIs are compounded by the fact that many people take them regularly and over the long term, even though they are meant as short-term remedies. PPIs should only be taken for 14 days at a time maximum, and only up to 3 times per year. 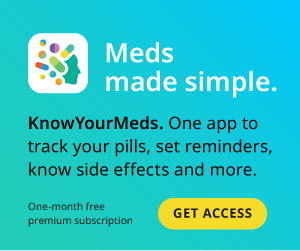 “You really want to encourage patients to take the lowest effective dose that manages symptoms effectively, for the shortest possible duration,” Andrew Chan, MD, a gastroenterologist at Massachusetts General Hospital, previously told MedShadow. Use of PPIs over long periods of time has also been associated with pneumonia, fractures of the hip, wrist and spine, and iron and vitamin B12 deficiencies, according to the FDA. And a study published in JAMA Internal Medicine earlier this year found a relationship between PPI use and chronic kidney disease.